Broken heating systems can make life uncomfortable and dangerous in extreme cold conditions. That is why we provide 24/7 repair and emergency services during the heating season. Jeff Paul specializes in residential and commercial hot water boilers, cast iron radiators, and baseboard heating systems. Boilers provide a clean and economic way of home heating. We are a certified installer and maintenance provider for several dependable boiler manufacturers. While gas furnaces use warm air to deliver heat throughout a home, a boiler uses water or steam to heat a home through pipes that lead to radiators, baseboard heaters, or radiant tubing. Boilers have gained in popularity as people are looking for ways to make their homes more eco-friendly. Boilers extract steam then return it back to be boiled again, which is extremely efficient. Why do boilers break or malfunction? Boiler pumps may fail as well as electrical components such as thermostat and sensors can stop working. Unnecessary air may get into the system or low water pressure may occur, which would prevent the appropriate flow of water into the boiler. Having Jeff Paul perform annual maintenance will greatly reduce the odds of failure during the heating season. Finally, if using a setback thermostat, we recommend making sure to leave the setting at 55 degrees or above. Boiler piped heat is evenly distributed which avoids the cold spots that are sometimes generated by forced-air systems. Boiler heating systems are safe and clean. Other HVAC systems can collect and circulate dust and dander throughout your home. This is avoided with ductless boiler systems. 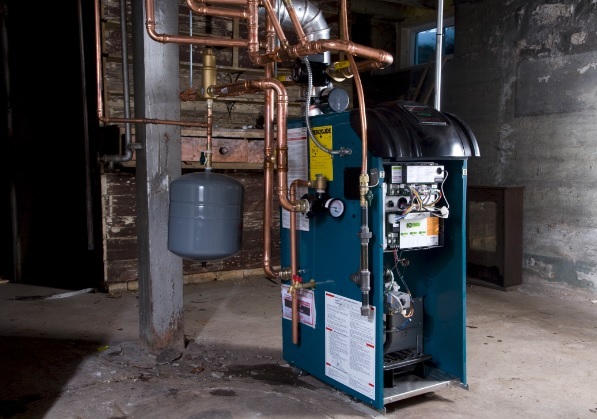 Boilers can act as an auxiliary or primary water heater, which can relieve the burden from existing heating sources. Low maintenance requirements. You should never skip routine maintenance for your boiler system, but it’s worth noting that boiler maintenance is fairly simple, and is quite cost-effective as well. Additionally, boilers see far fewer breakdowns on average! Boilers feature an intrinsically quiet operation. Operation is near silent which is perfect for implementations where sound levels are a critical factor.